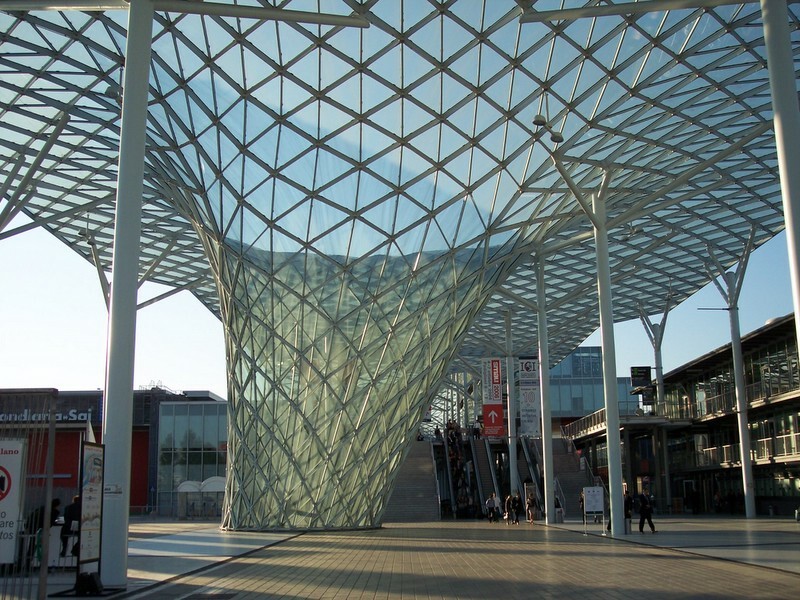 The Sail, this is the name of the 1 km long structure by Massimiliano Fuksas covering the new site of fieramilano near Milan, which hosted the 43rd edition of Smau, the ICT international exhibition. Only two halls were used to contain the exhibitors’ stands and the area reserved for seminars. Speaking with some people they confirmed the impression that something was missing, that sort of background noise coming from big stands aimed to attract consumers and the like. At the same time it was pleasant being able to walk around the fair and ask for a meeting without having to dig through the crowd. The two seminaries I attended were interesting, one was about software rights protection according to the italian law by Massimo Farina, pretty easy, quick and effective and the other about technologic innovation in point of sales by an IBM speaker. I had some meetings with people working for companies whose products are (or may be) related to the projects I’m currently involved in, such as Sony’s network cameras and RFID device and service providers. I couldn’t miss a chat with friends in the Windows Mobile areas too. The area named Innovation Routes was very well organized and hosted numerous stands of italian startups. 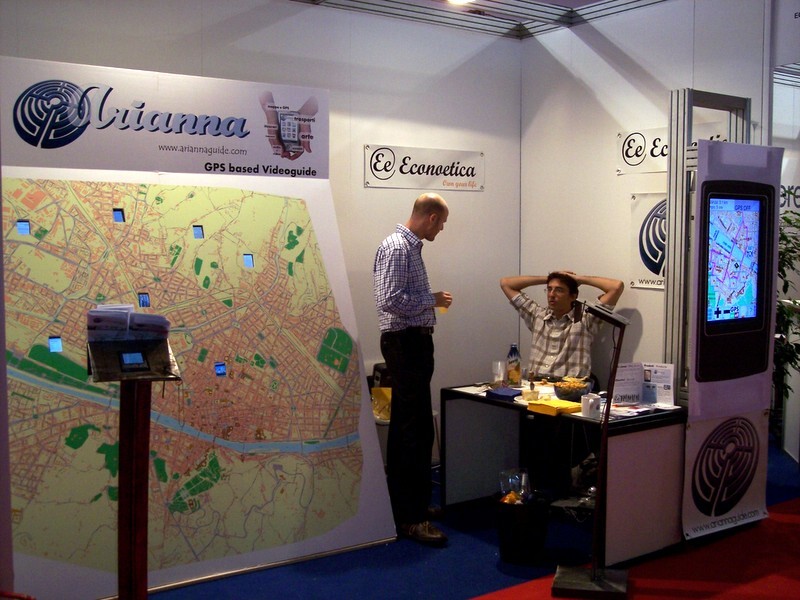 One of them was Econoetica, presenting the Arianna PDA city guide. I had the pleasure to meet Valentina, marketing manager, in Firenze during the Vespatour and use the guide for a whole day walking around the city, and at the fair I met her again together with the rest of the staff, Pietro and Luca. Next to their stand I also spoke with the Blogosfere.it staff, a network of professional italian blogs, most of which are of very high quality thanks to their experienced bloggers. This entry was posted on October 8, 2006, 2:47 am and is filed under Mobile, Software. You can follow any responses to this entry through RSS 2.0. You can leave a response, or trackback from your own site.